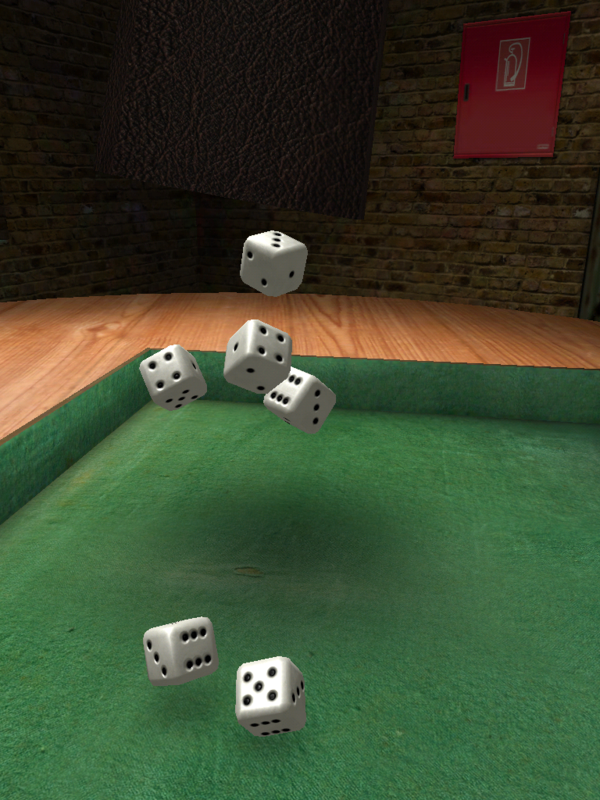 10 word description: 3D dice simulator, Hi-res graphics, two games, AI opponent. 10 word review: Good looking, highly polished. More game types would be great. 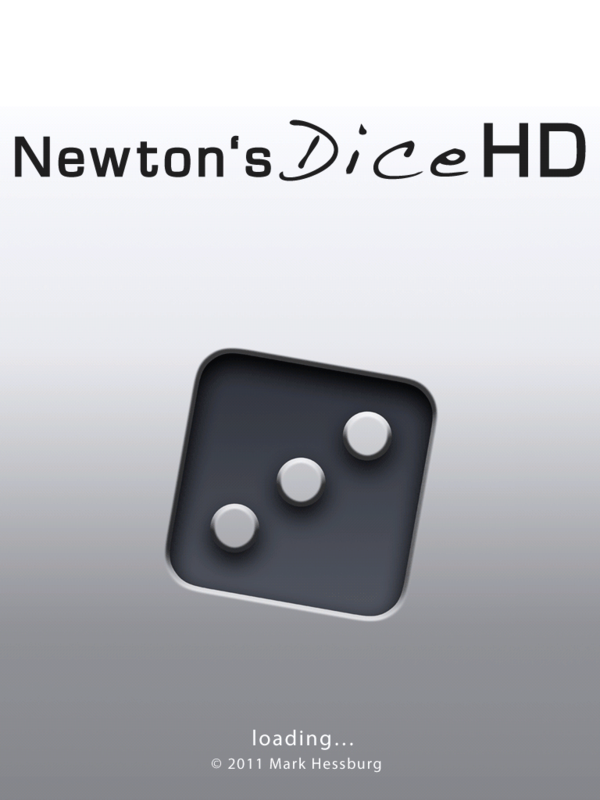 You will like this if you enjoy: Dice games. Board games with realistic graphics. Games without any shooting, zombies or uppity wildlife. 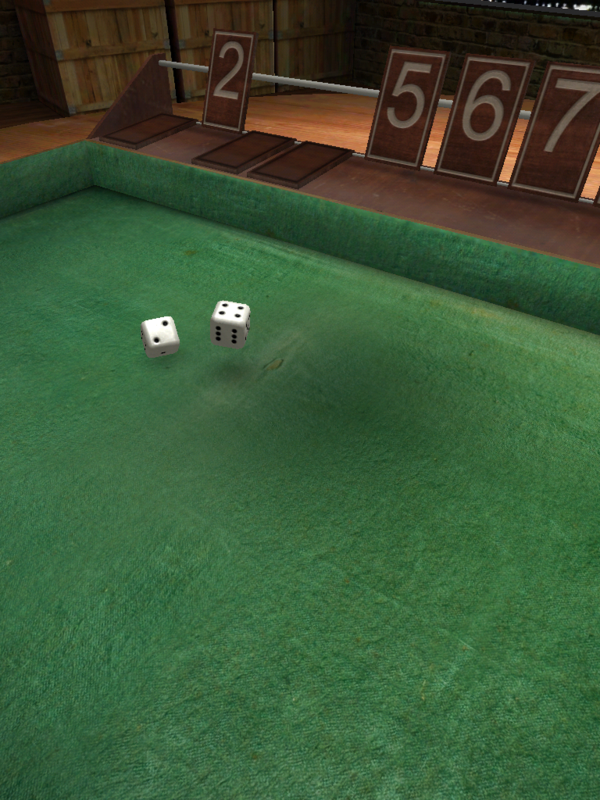 The good news: Impressive graphics and dice physics – the realism/randomness of the physics means that it’s possible for crooked rolls to occur, with one die even ending up on top of another. Playing against an AI opponent is engaging and addictive – the AI doesn’t get any unfairly biased rolls, at least none that I’ve noticed. The bad news: Only plays in portrait mode. 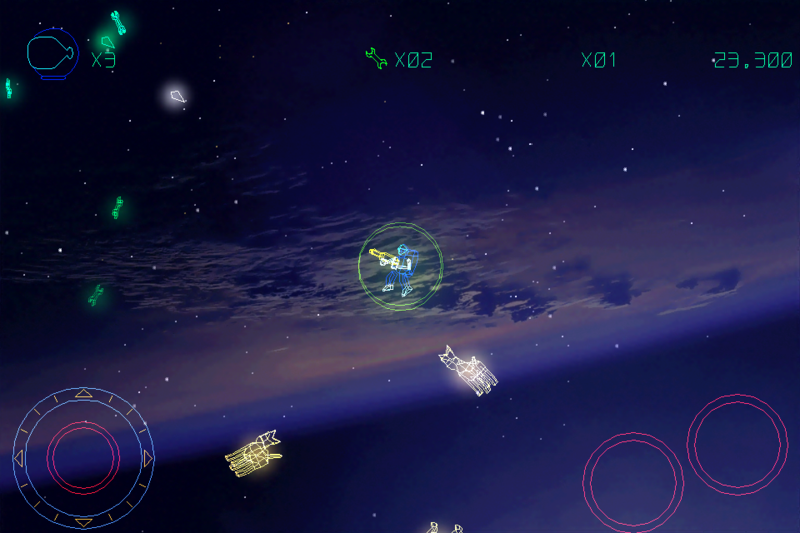 It isn’t possible to pause, exit or otherwise interrupt during the AI player’s turn (apart from pressing the Home button). You have to set your player name twice, once for each of the two game types. More game modes would be great. 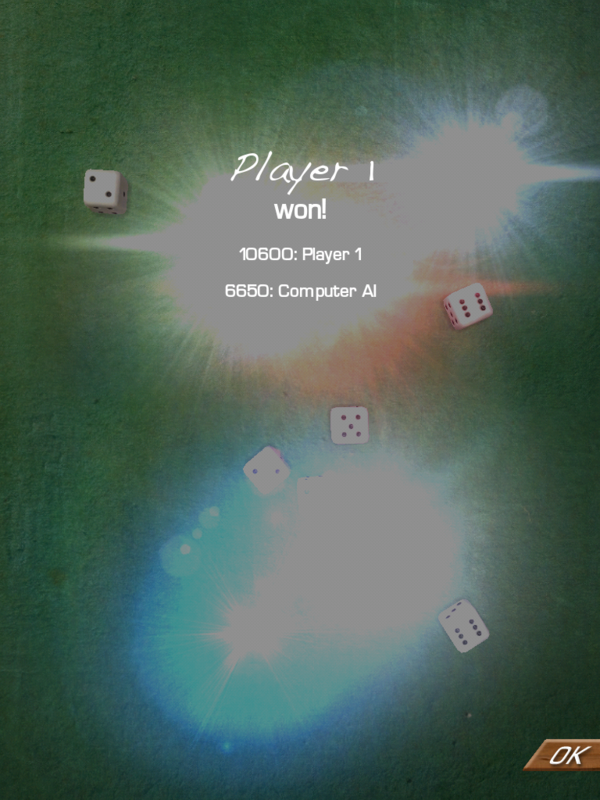 Something I’d love to see, but would involve a major graphical update, would be the inclusion of poker dice. That could even be done as a separate app using the same engine. So, yeah, not really any bad news as such, just me wanting more as usual. Arcadelife verdict: The graphics and physics, fairly obviously, are the primary attributes here. I think the game will appeal to iPad owners who generally aren’t into “playing games” but will appreciate the polish and realism of the dice rolling. 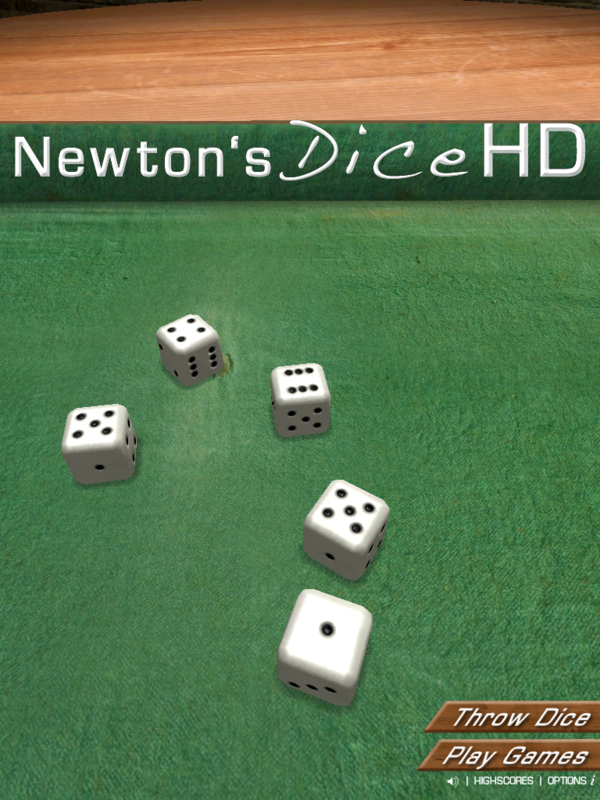 At the risk of insulting both Newton’s Dice and my own literary standards, this is very much a coffee table game. That isn’t a bad thing, by the way, it’s just my attempt at categorisation. 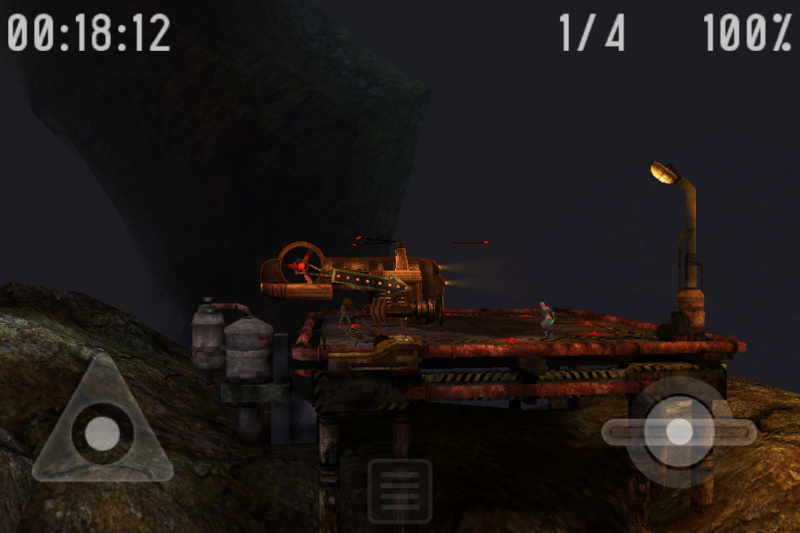 It could have been worse, I could have referred to this game as Infinity Blade for chartered accountants … but I didn’t. 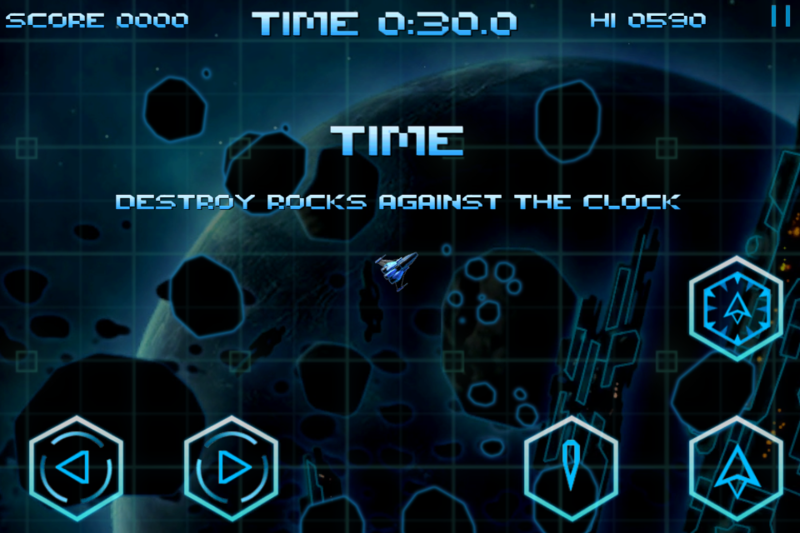 10 word description: Navigate and blast your way through Meteor fields. Several modes. 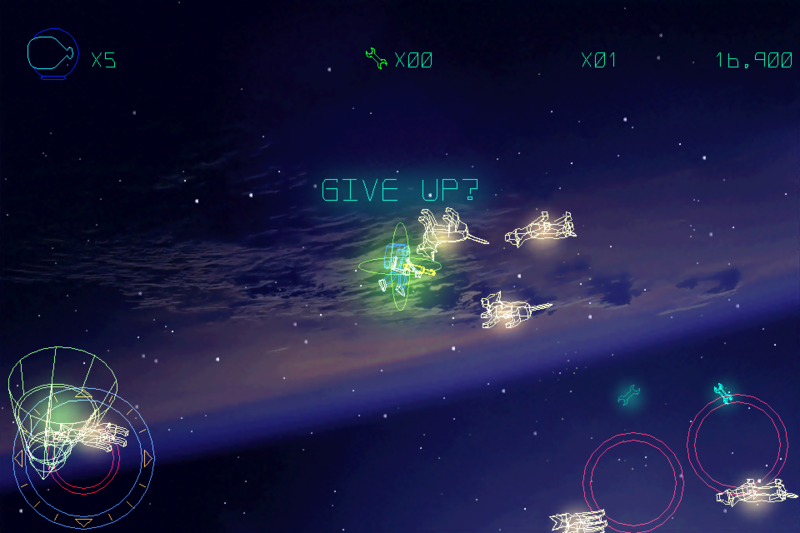 10 word review: Super-polished Asteroids remake rocks! Entertaining inclusion of Space Invaders. 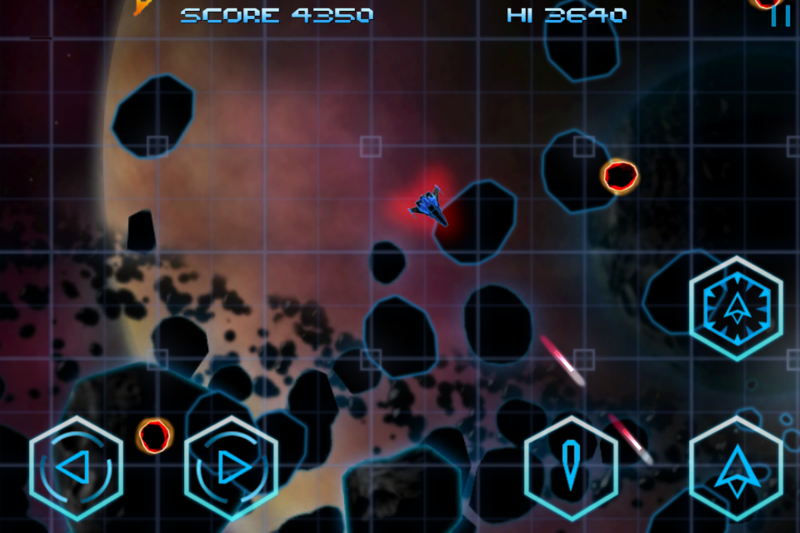 You will like this if you enjoy: Asteroids. Jazzed up retro games. 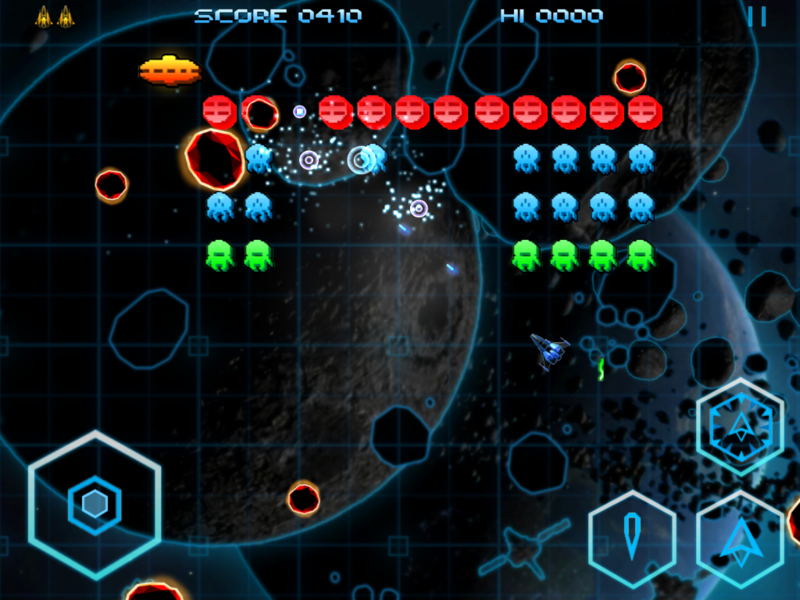 Asteroids simultaneously featuring Space Invaders. The good news: Plenty of control options. Great graphics and sounds. 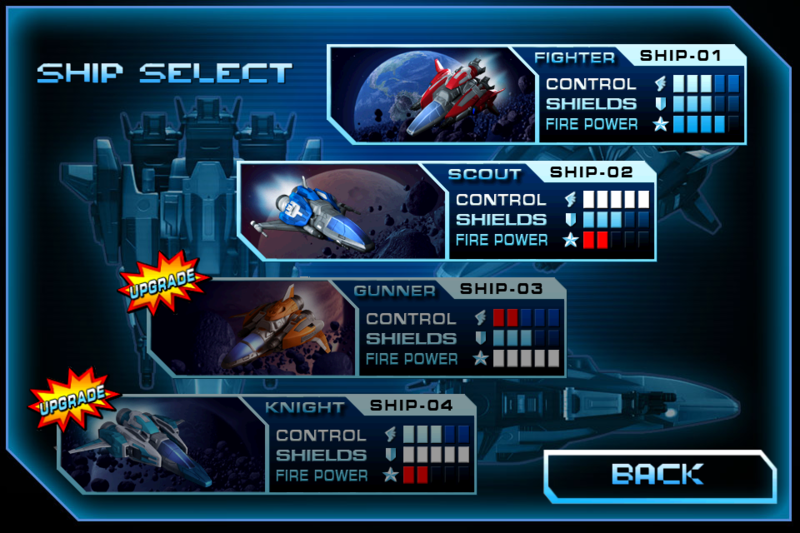 Plenty of game modes, even without IAP unlocks. Great gameplay – Asteroids fans will love it. The bad news: It would be an easy option (for me) to complain about the IAP add-on, but there isn’t really an issue with it. There’s plenty of content in the default package and the IAP upgrades feel far more like something to get if you really like the game, rather than something you need in order to enjoy the game. For once, a time limit that I actually like in a game! 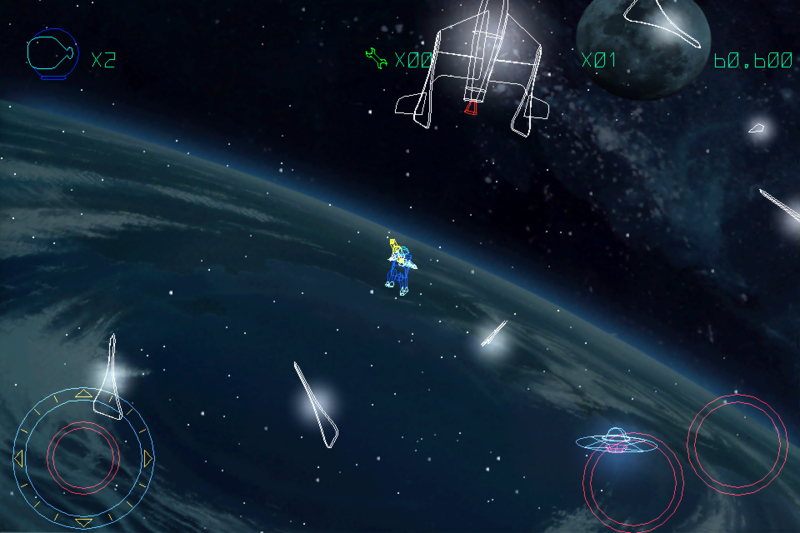 Arcadelife verdict: It’s almost an Asteroids overload recently with this game and Space Junk being released close together, both delivering the same kind of flashy retro rock-blasting experience. In a straight comparison, Dust lacks the visual gags of Junk’s varied enemy objects, but makes up for this with additional modes, a choice of ships and the bizarre yet rather wonderful inclusion of Space Invader waves in one of the modes. 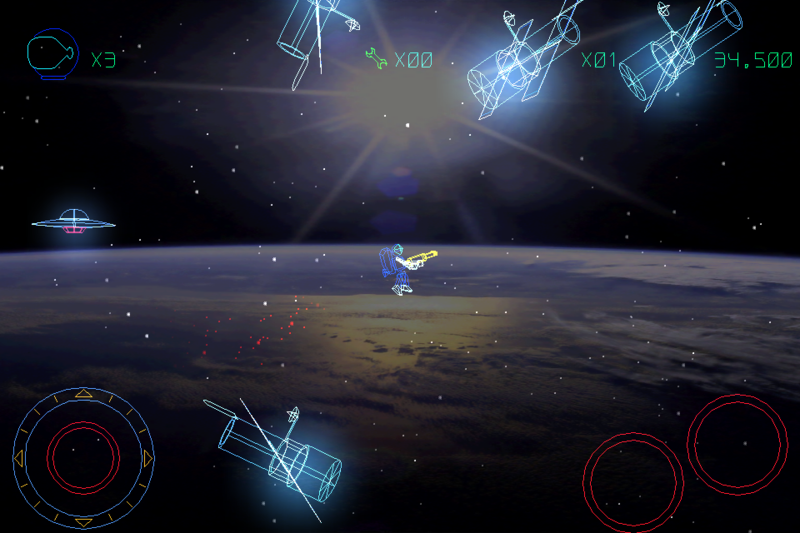 Asteroids addicts probably need both this game and Space Junk. If I had to choose one over the other … I don’t think I could. 10 word description: Cult 1991 cross-platform action/adventure. Original/HD graphics. Game Center. 10 word review: Obviously dated ‘classic’ survives transition to app store rather well. 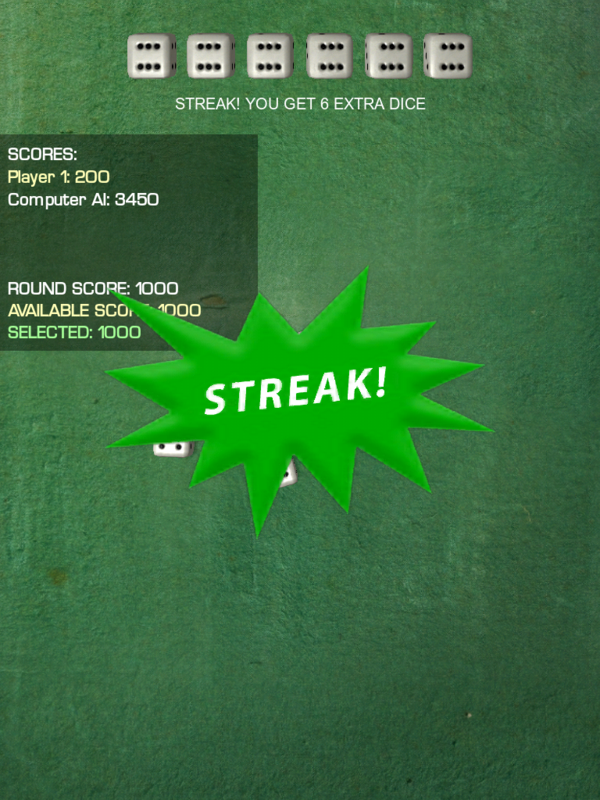 You will like this if you enjoy: Arcade adventures where perseverance is a necessity. Retro games. 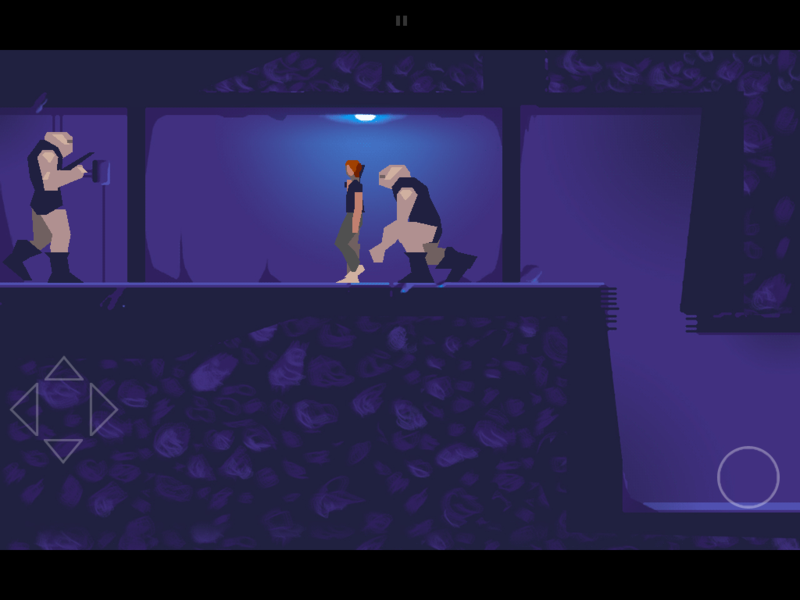 Revisiting classic games from gaming history on your touch-screen iOS device. Note that I am using the D-pad and button control option. I've moved the controls around to where they feel most comfortable for me. The good news: The configurable controls are hardly ever to blame for your countless deaths. It looks good, rather better on iPad than iPhone/iPod but that’s fairly predictable. The addition of a slightly easier “normal” difficulty setting makes areas beyond the first couple of screens accessible to most gamers. The bad news: The very retro “try, try and try again” gameplay style may alienate younger gamers or people who have been introduced to videogames via their iPhones. There are points in the game where exploration choices (such as rolling around in dark pipes not long after the start of the game) give you a 50/50 chance of an inescapable death. A lot of the ducking, shooting, running and jumping requires exact timing and pixel perfect precision. Fun, certainly, but also potentially frustrating. 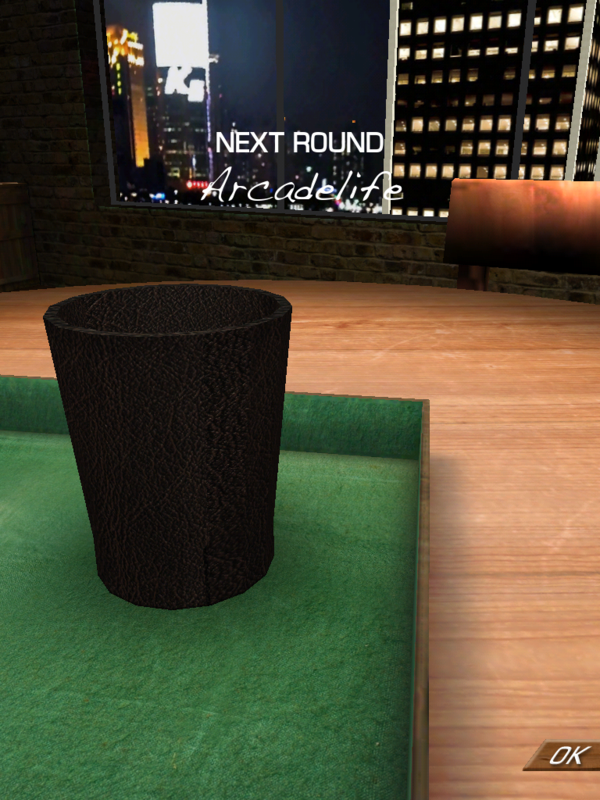 Arcadelife verdict: This one is a lot harder to call than you’d think. I was rubbish at the original PC version and gave up after many, many failed attempts to get past the first few screens. So now, 20 years later on my iPad, I’m a lot further into the game and it’s all very new and enjoyable to me. However, I lived through the age of ferociously hard games and I can appreciate what this one is all about. Those who played and loved it many years ago, and just want to relive the experience on their iOS devices, they’re all highly likely to love it all over again as it is a very impressive port, with a nice graphical overhaul and good controls. 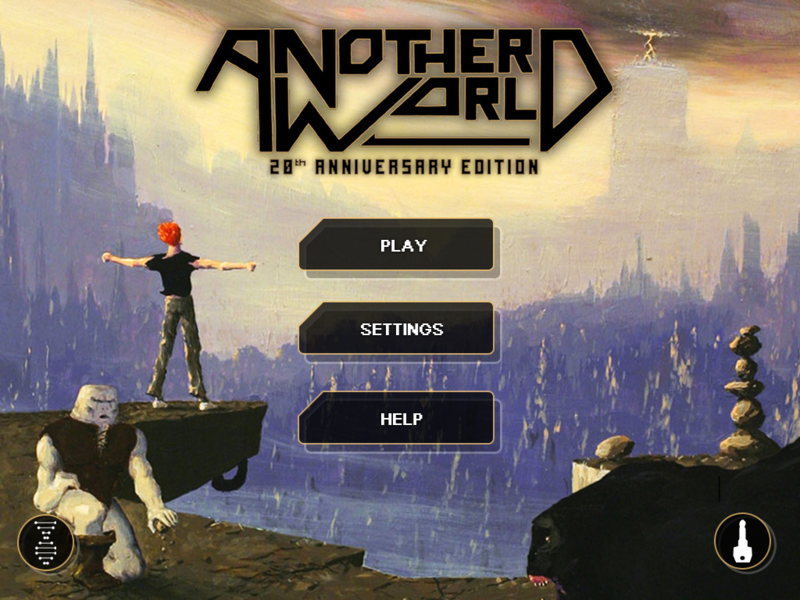 Complete newcomers to Another World could be in for a bit of a shock; it’s hard and proud of the fact, calmly displaying hints about what buttons to press in order to jump after you fall into a hidden pit full of spikes… for the 85th time. I like this version of the game. 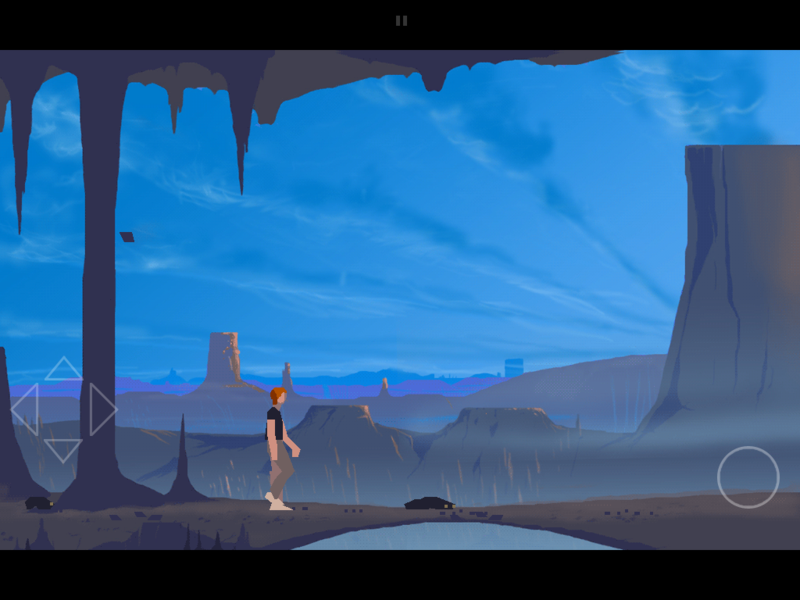 It has brought me back to a title I gave up on many years ago, and it is a great iOS action adventure in its own right. For each person who runs screaming from the infinite “jump-fall-die-restart” loop, there will be many more who embrace the challenge like an ancient, unforgiving, yet somehow very welcome adversary. Welcome the return of classic gaming hazard - "falling into a pit full of spikes"
10 word description: Underground helicopter/physics rescue missions. Beat time limits. Unreal engine. 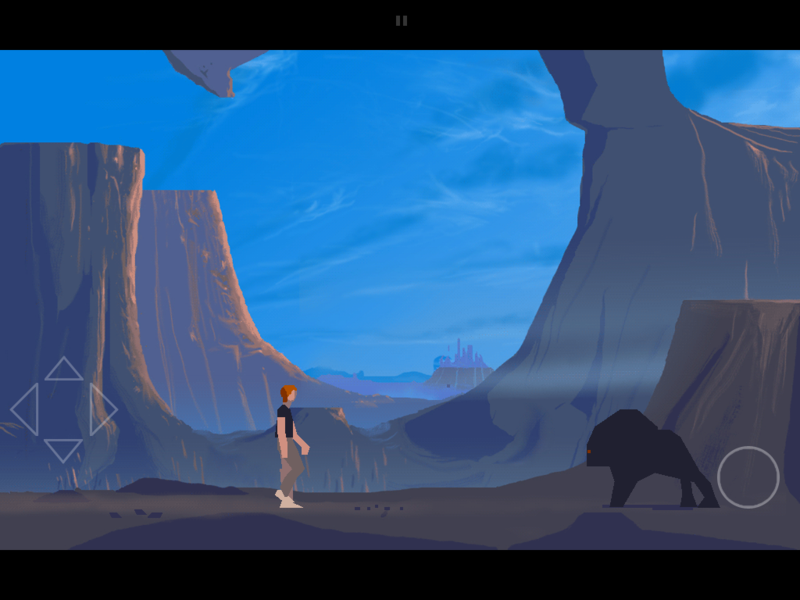 10 word review: Gorgeous looking, difficult, often quite frustrating, but overall fun game. 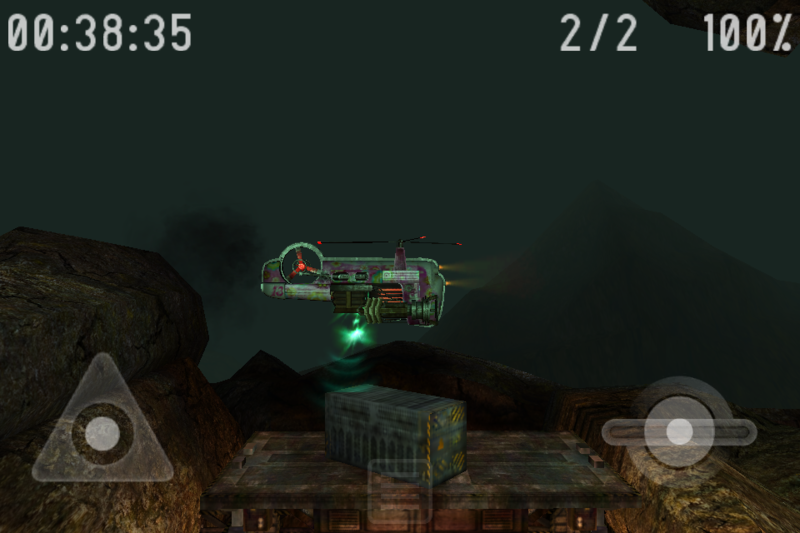 You will like this if you enjoy: Choplifter, games with high quality 3D graphics, tricky vehicle-based games, time limits. 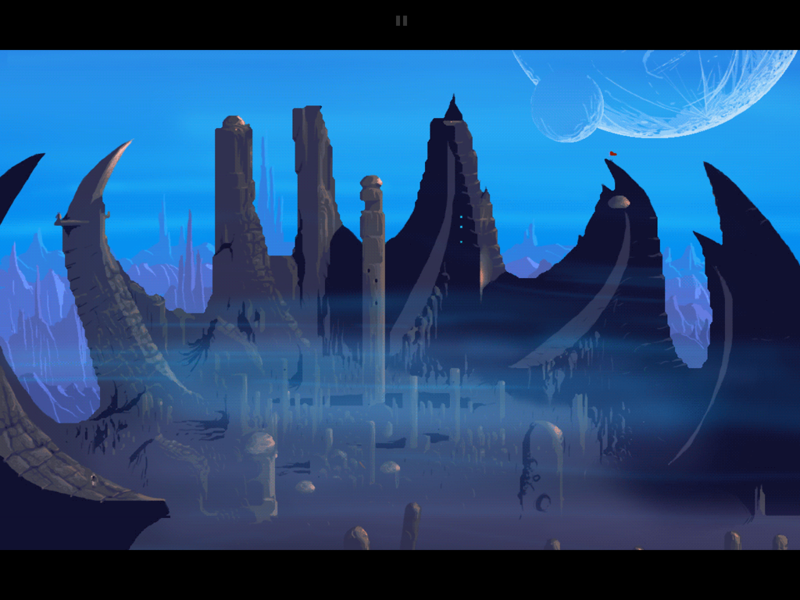 The good news: The graphics, of course, are very good – backgrounds, objects and lighting are all top quality. 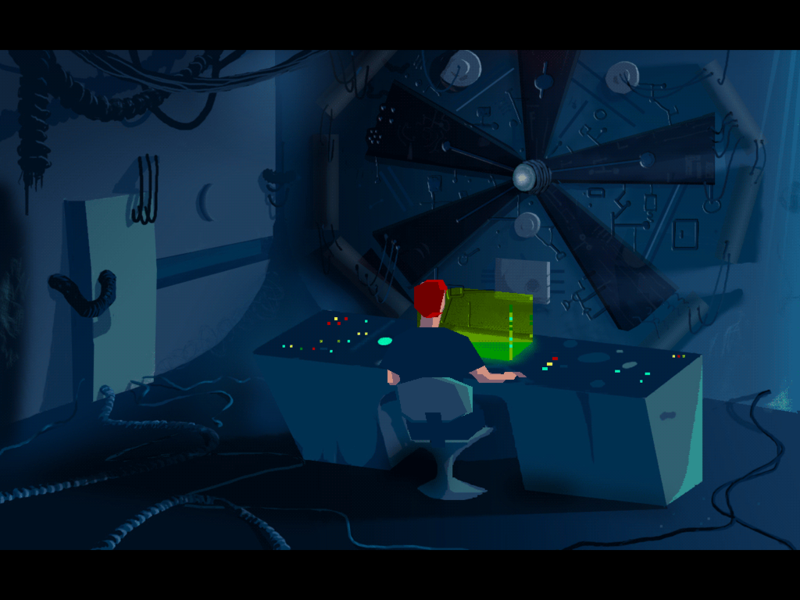 The gameplay itself, a kind of underground Choplifter, is hard but satisfying to beat. 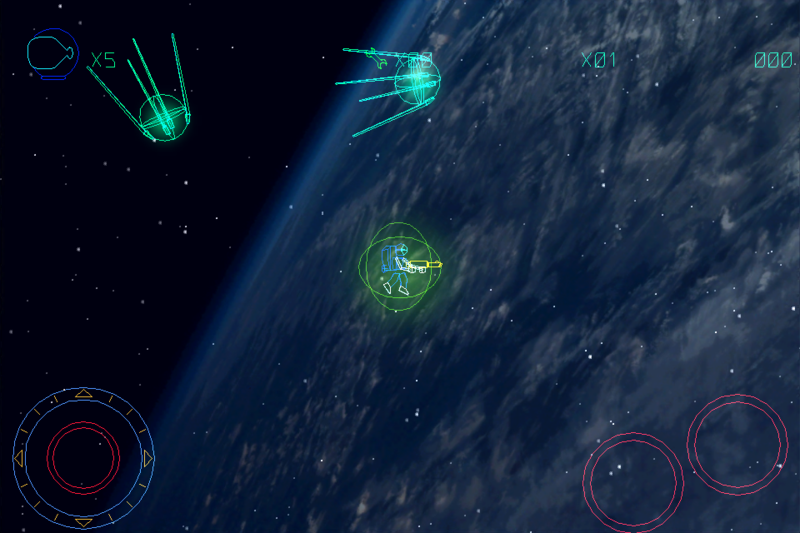 The player’s ship feels real, due to the solid graphics and polished animations. 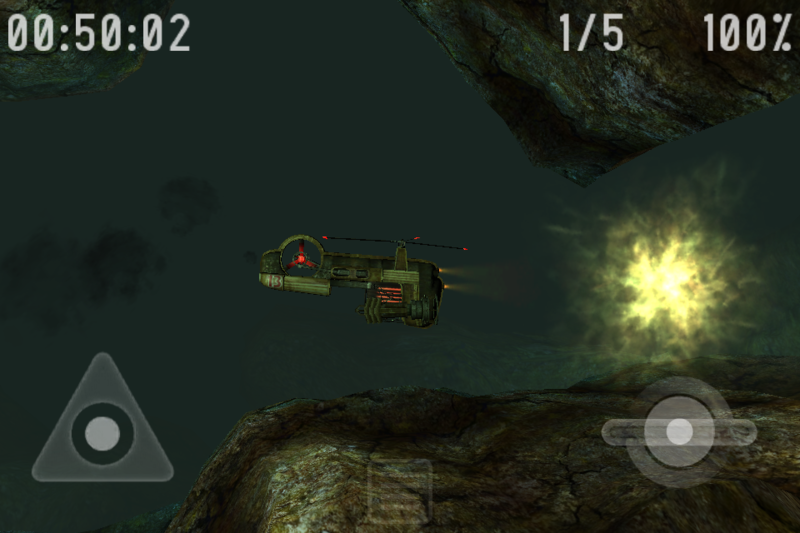 Details, such as the stranded miners with their little rescue flares, add to the atmosphere. 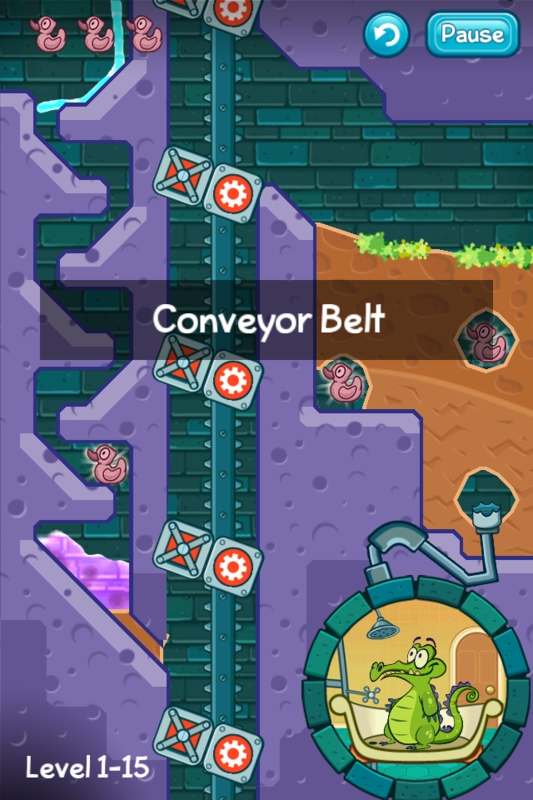 The bad news: Controls are quite tricky and need to be learned a LOT before even the earliest levels can be conquered. The ship loses health incredibly quickly when colliding with the environment. 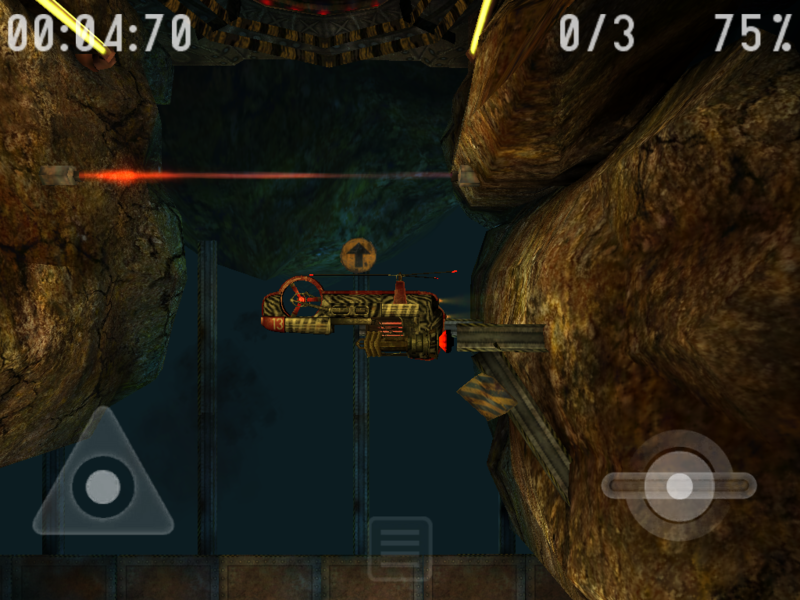 I dislike time limits, particularly when combined with tricky controls, trickier level design and a fragile vehicle. Others will love the challenge presented by this combination, I’m just pointing it out for people who prefer their gaming to be on the more casual side. Arcadelife verdict: Here’s another game that, like Infinity Blade, shows just what the iOS devices are capable of when it comes to graphics. This isn’t just a graphics demo, though; it’s a well conceived game, polished and very tough. 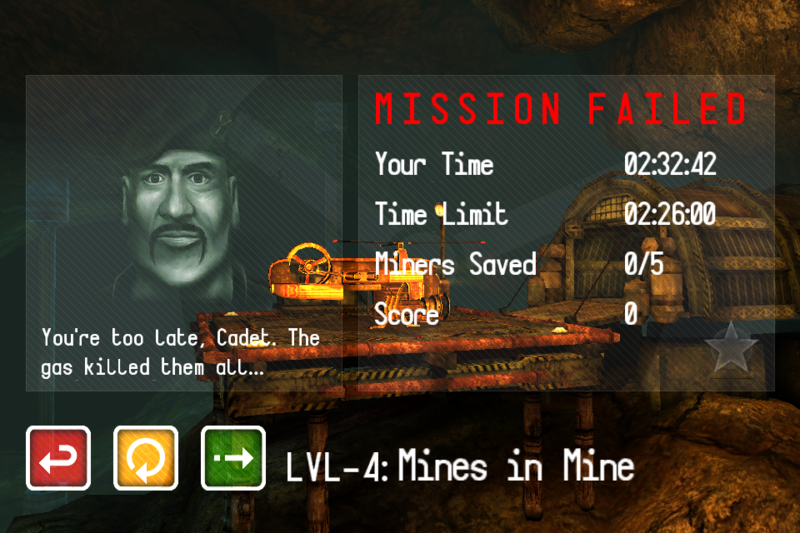 The controls are hard to master but, in a way, this adds to the gameplay and the satisfaction of rescuing all the miners in a fast time. Weird, anomalous underground glowing gas clouds must die! 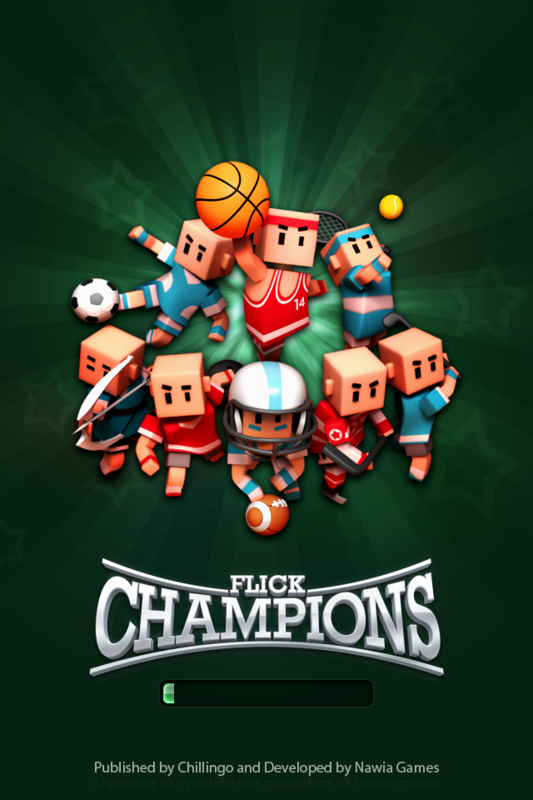 10 word description: Collection of flick-based sporting challenges. 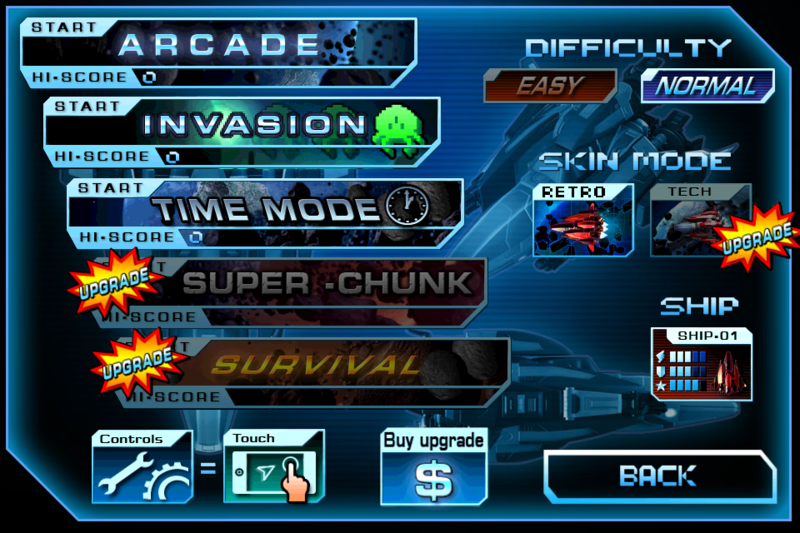 Multiple modes, unlockable events. 10 word review: Mixed bag. Cute, Lego style characters. Much content, mostly enjoyable. Oi! If I catch the little blighter who keeps writing graffiti all over my tennis courts, I'll have you, I will! You will like this if you enjoy: Simple flick versions of different sports. Compilation games with different events. Solo & Multiplayer sports games. This is basketball. I know you don't believe me; why should you? 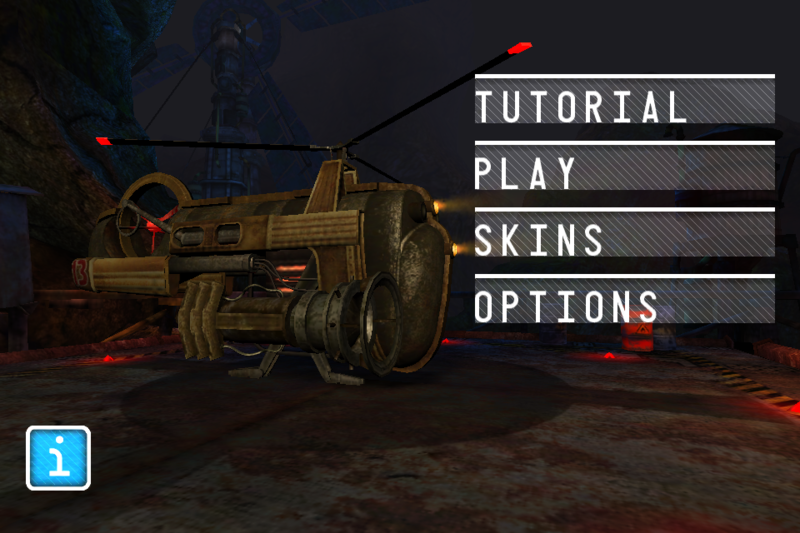 The good news: Style, graphics, presentation and control methods are all good. 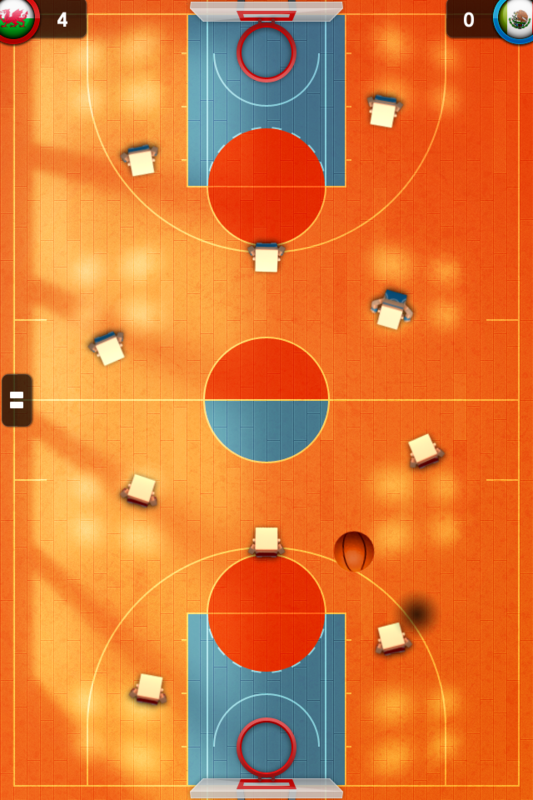 Sporting events are instant pick-up-&-play casual games with various difficulty settings and modes. There’s plenty of content and a fair amount of choice in the initially available events. The bad news: Some games may feel a bit too simple. 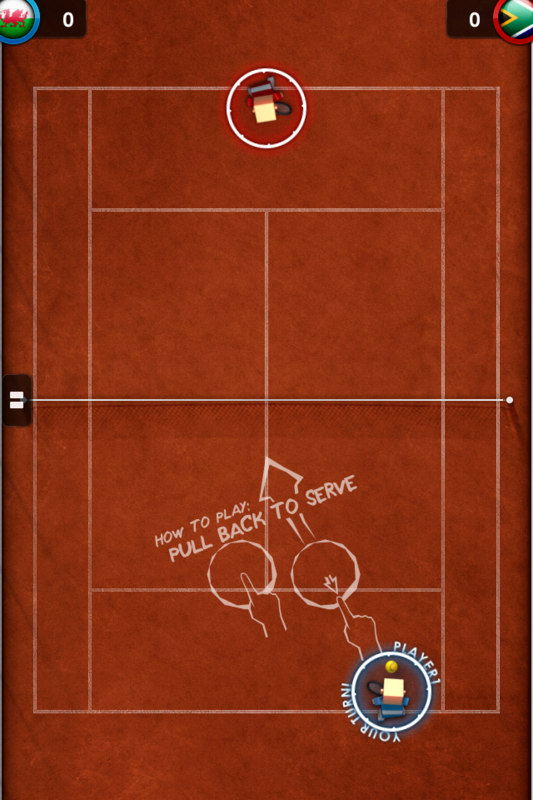 Tennis, for example, is a fairly obvious Pong variant and doesn’t adhere to many preconceptions of how a Tennis game should play. While this isn’t necessarily “bad”, it’s worth mentioning. 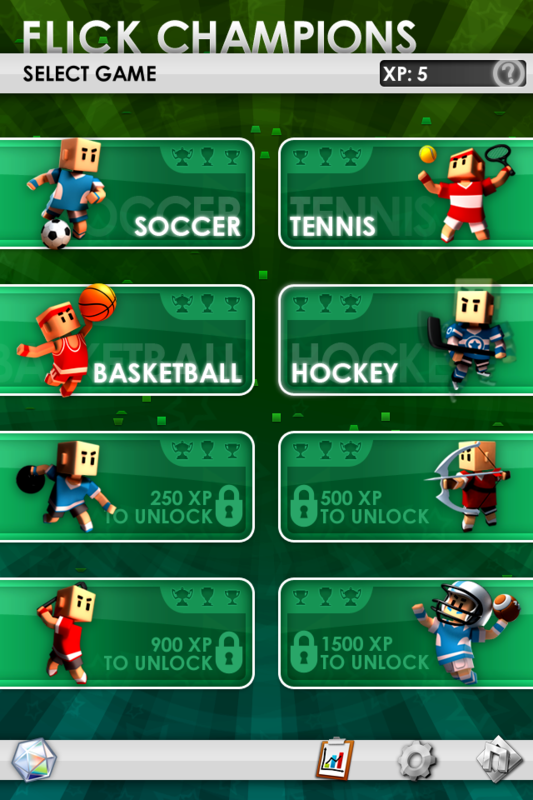 “I paid for it, I want it all now” types will be put off by the amount of gaming effort required to unlock all the different sports. 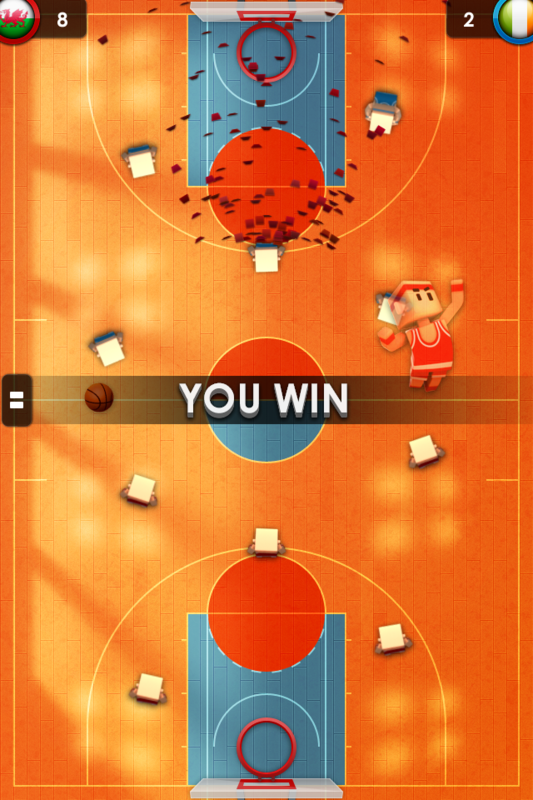 Arcadelife verdict: This is a good package of similarly themed games. Several would be viable as standalone offerings while others fall quite happily into the category of “filler”, although none of them are so bad as to warrant exclusion from being played. The general feeling I get from this title is that it’s an entertaining compilation of fairly polished games with enough challenge and content to keep players occupied for quite some time, in both solo and multiplayer modes. 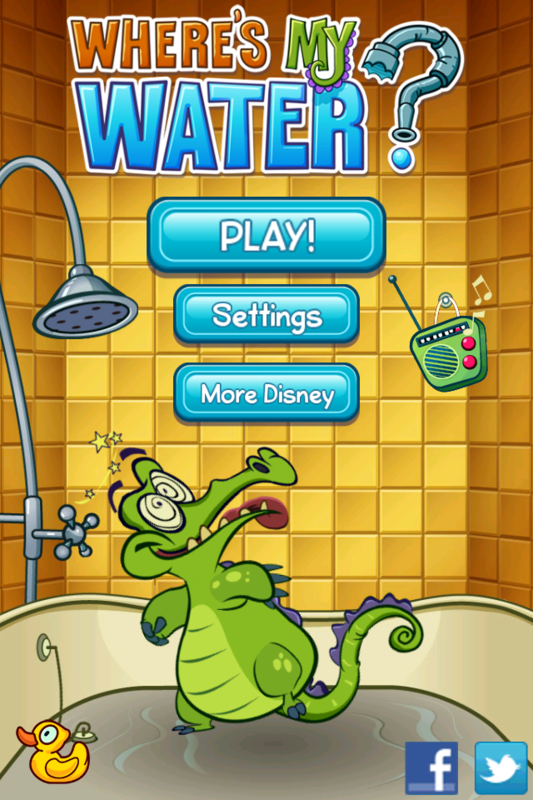 10 word description: Help guide water to Swampy the alligator’s bathtub. 80 puzzles. 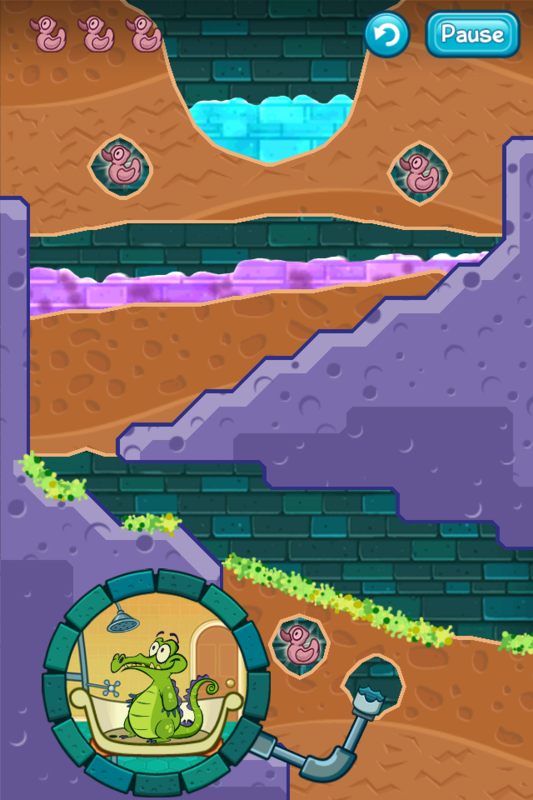 The green sponge stuff absorbs your water, but the purple liquid will remove the sponges ... Start digging! 10 word review: Way too much fun! 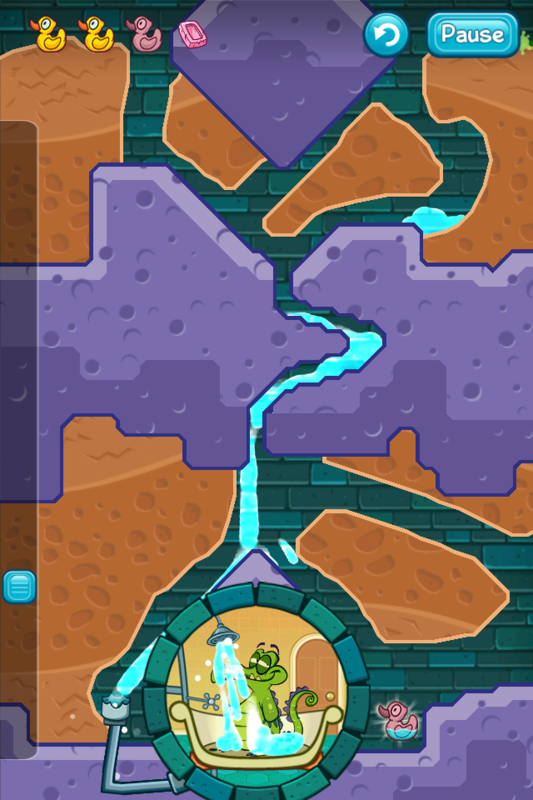 Brilliant, highly polished water-physics puzzles. 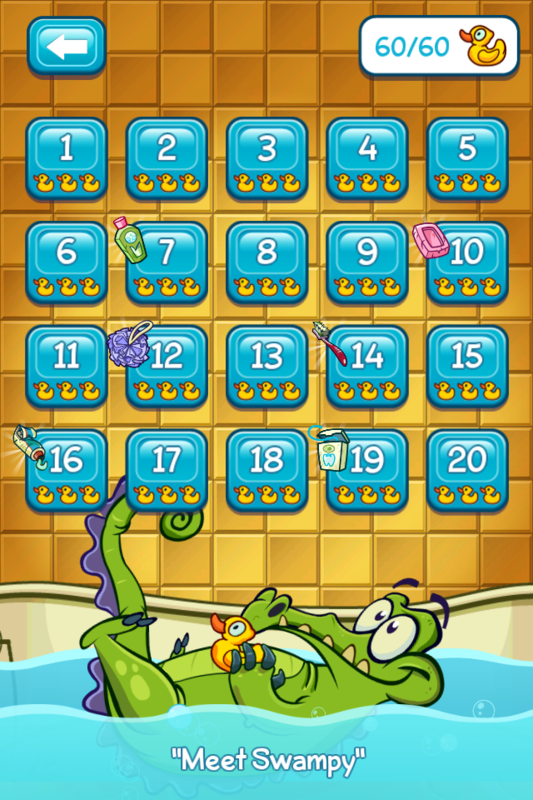 You will like this if you enjoy: Feed Me Oil, Sprinkle, Cut the Rope. 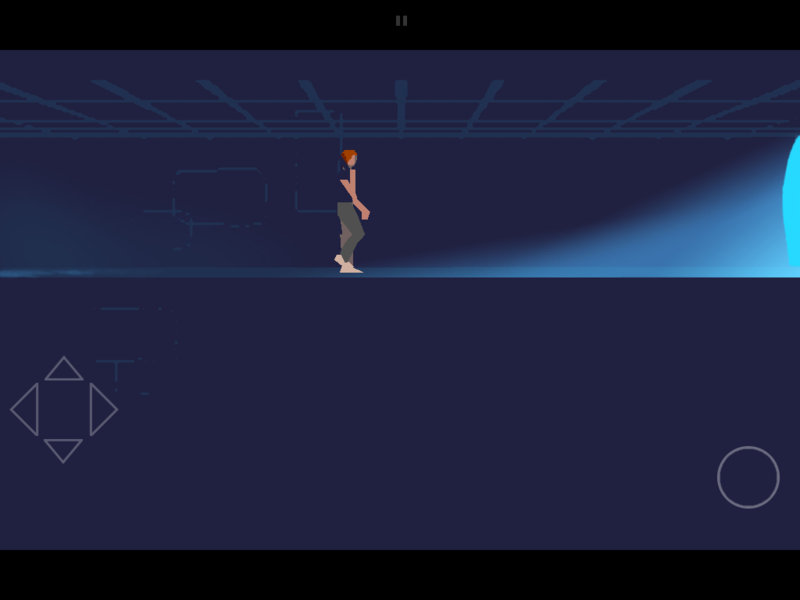 Physics puzzle games that are more about having a good time than frustratedly smashing yourself in the face with a framed painting of Isaac Newton. The good news: It’s complete genius. Finally I get to play a liquid-based physics game that doesn’t involve teeth-grinding rage trying to place fiddly, illogical objects or attempting to collect randomly splattering and unconvincing glop in precariously balanced containers. 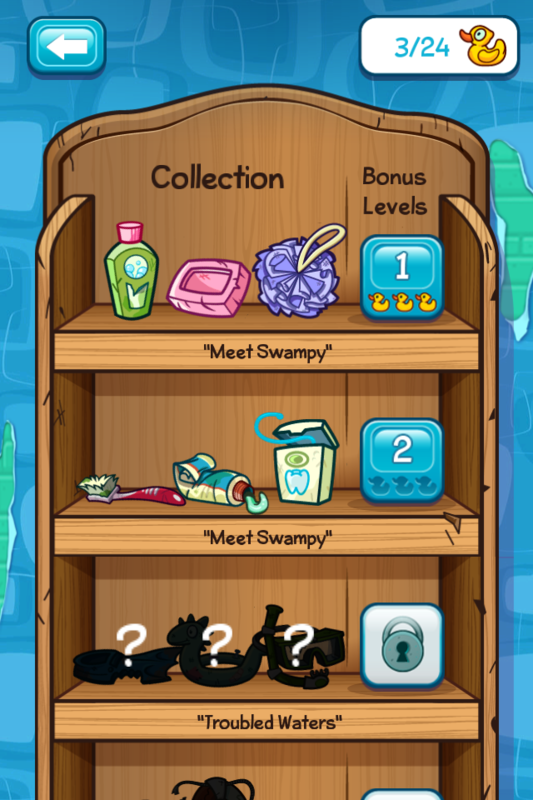 Based on my experiences in the first 20 levels of Where’s My Water?, none of the factors that ultimately reduce these games to a spiralling vortex of hatred (for me) appear to be present in this game. Getting beyond my slack-jawed amazement that someone (Disney, for F’s sake!) has managed to get a water-based physics puzzler so right, here’s a list of the stuff that makes it great: Graphics, animation, cartoon style water physics, puzzle elements, interface/control method, performance, theme, humour, collectibles, amount of content, overall level of polish, funny hidden stuff like the interactive main menu and the shower curtain (try it). The bad news: Dumps from a great height on other similar games. 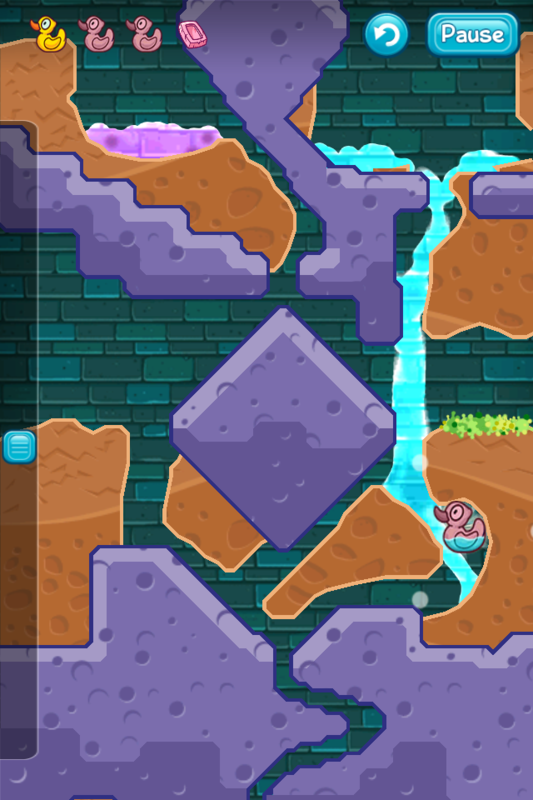 Arcadelife verdict: As soon as you start digging with your finger and watching how the cartoon water follows the little tunnels that you make, it is obvious that not only is this going to be a huge amount of fun, but also that a lot of thought and effort has gone into this game. Note how I said “cartoon water” a couple of times already – this isn’t about a photo-realistic and physically perfect water simulation with a half-hearted game tacked on, it’s a cartoon puzzler with convincing cartoon water that behaves exactly as you expect it to. 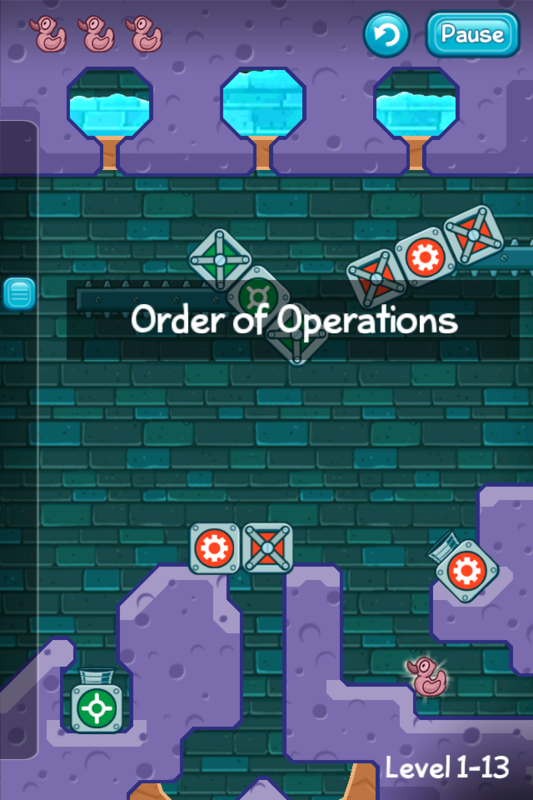 Early hazards such as the toxic purple liquid (that also melts sponges) and the sponges that absorb (kill, if you like) your cartoon water are great puzzle elements that also seem completely logical in Swampy’s cartoon world. It’s just a great game. 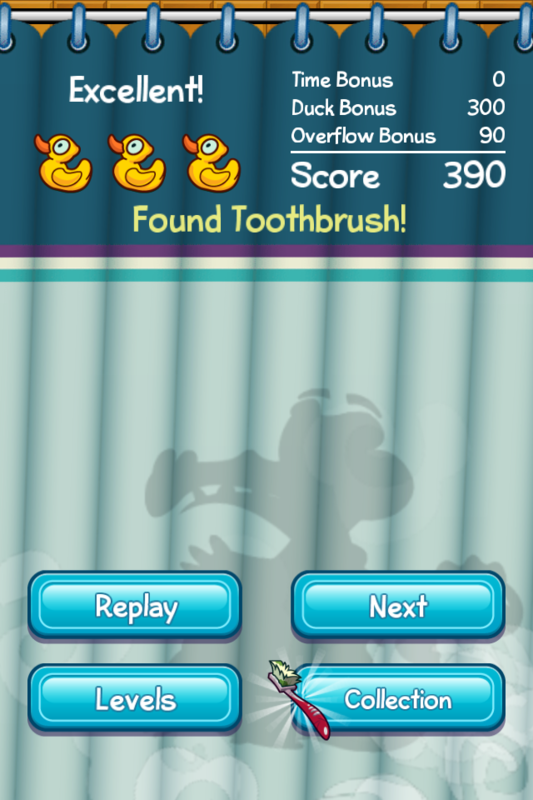 If you’re tired of physics puzzlers, maybe even already a bit weary of liquid-based puzzlers, get this game, play through a few levels, and restore your faith in game designers and the ability of puzzle games to make you feel all special and clever when you manage to collect 3 ducks and give an alligator a shower. 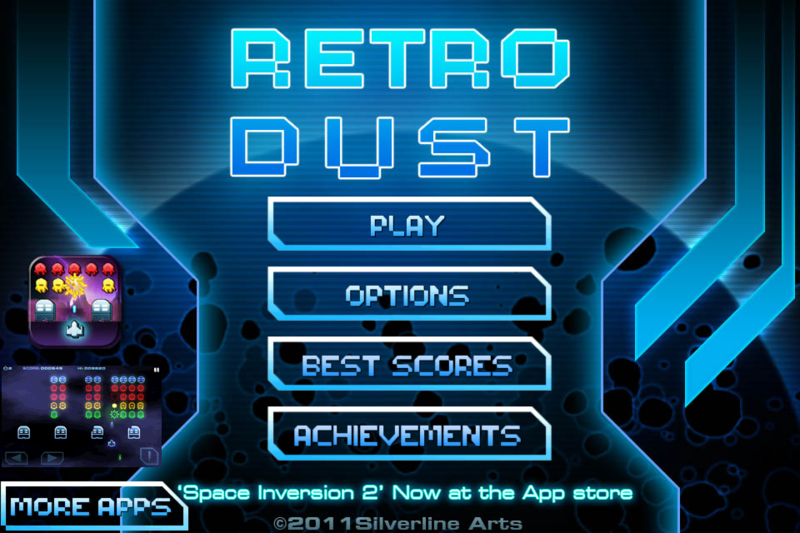 10 word description: Retro themed, Asteroids style shooter. 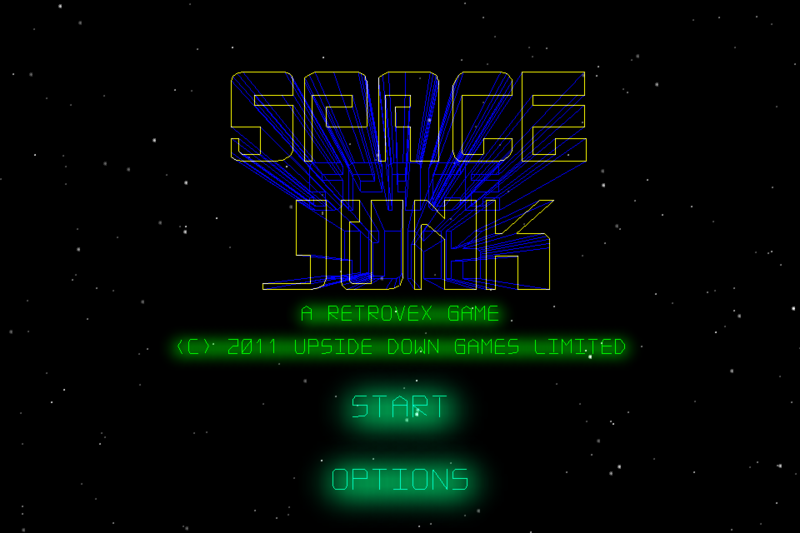 Destroy space junk, collect power-ups. 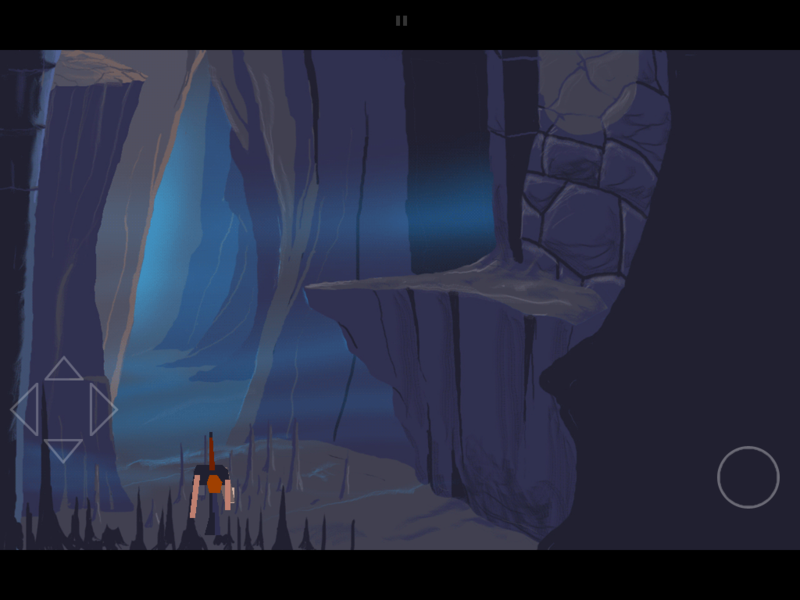 10 word review: Great vector graphics shooter gets everything pretty much spot on. 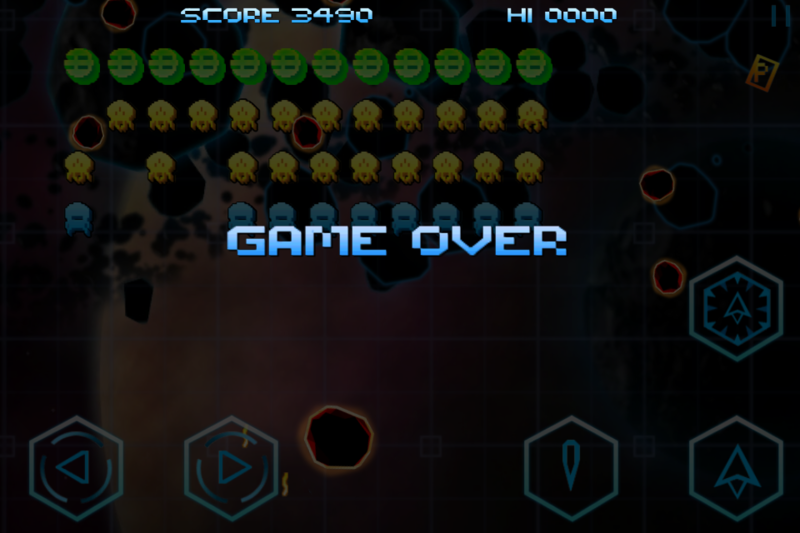 You will like this if you enjoy: Asteroids / Asteroids Deluxe, retro arcade-style games, space-themed shooters, high-score games. The good news: Gorgeous retro/vector graphics. Sounds & music are wonderfully atmospheric and really suit the game, perfectly complementing the visuals. 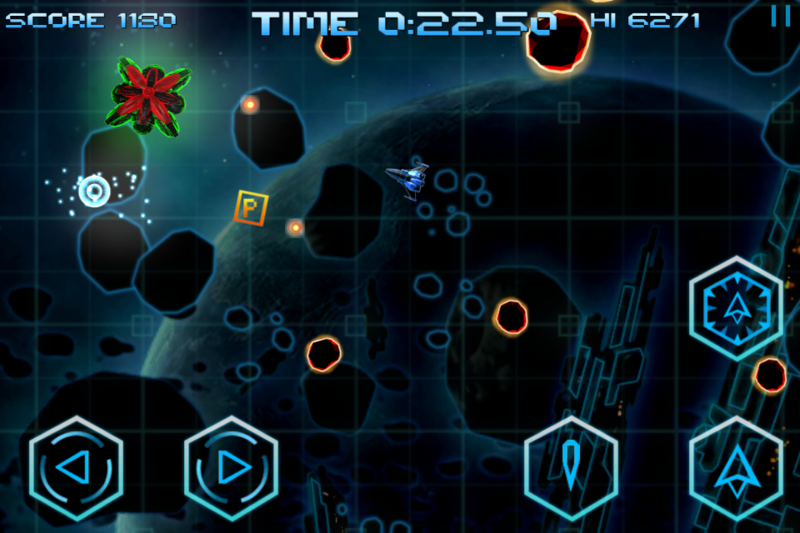 Gameplay is a satisfying blend of sparkly vector destruction and tactical power-up chasing. Deaths never feel cheap. Levels and enemy objects are varied and often amusing. The bad news: I tried, but I can’t think of anything to deter any arcade/shooter fan from thoroughly enjoying this game. There’s no Game Center but that isn’t “bad”, just something that can be added later. Arcadelife verdict: I’m a tough reviewer to please when it comes to Asteroids style games because Asteroids was my first truly great gaming obsession and it’s still near the top of my list of favourite videogames. 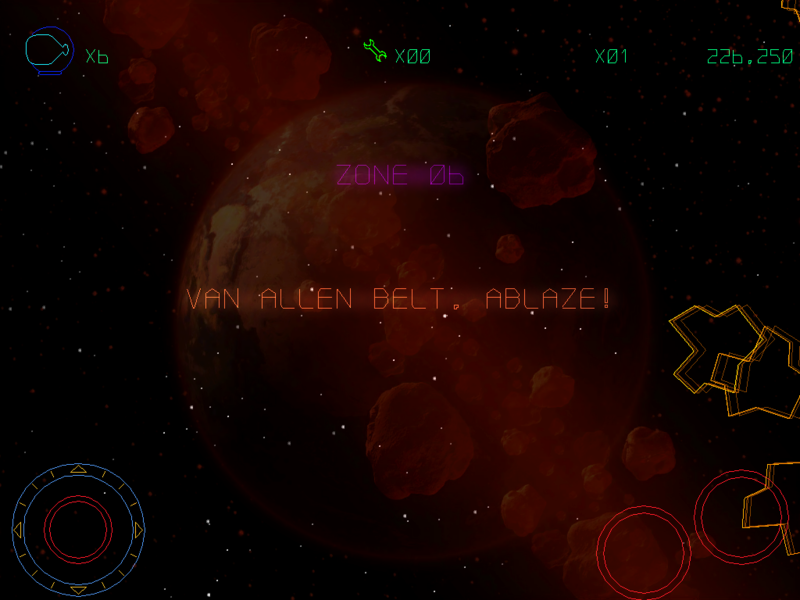 Just because a game looks a bit like Asteroids doesn’t mean I’m going to instantly fall in love with it. If it fails, even marginally, to live up to my nostalgic expectations, I’m not going to want to play it very much. Space Junk is great. The first time I played it I still had earphones in from watching a film on my iPad and the first thing that hit me was the incredibly evocative music, almost like Tubeway Army signed up to create the theme to a space shooter… I could feel the smile forming even before I fired my first shot. If you fancy a game where you can blast apart vector versions of Laika, the first dog in space, the Hubble space telescope, lumps of cheese, or just plain old asteroids, you know where to sign up. You are currently browsing the ArcadeLife : Life vs Video Games blog archives for September, 2011.